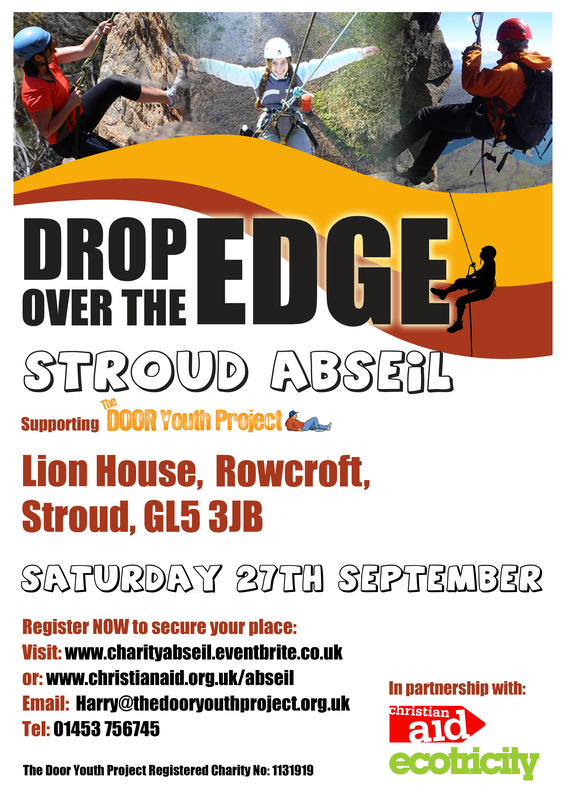 Drop over the edge with The Door Youth Project and Christian Aid at their Charity Abseil at Ecotricity’ s building the Lion House. 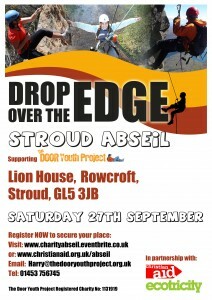 Benefiting local young people, their families and those trapped in poverty. It costs £20 to enter and we hope you will be able to raise £40 in sponsorship.